(Toronto, ON) – The Repeat Offender Parole Enforcement (R.O.P.E.) 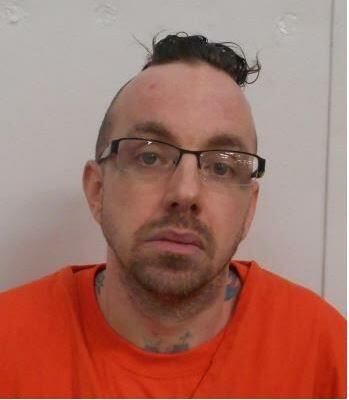 Squad is requesting the public’s assistance in locating a federal offender wanted on a Canada Wide Warrant for breach of his Long Term Supervision Order. HAMELIN is serving a 1 month and 29 Day sentence for Criminal Harrassment. HAMELIN is described as a 36 year old white male, 5’8 (173 cm’s), 170 lbs (77 kgs) and has hazel eyes and brown hair. HAMELIN has numerous Tattoos. On the left side of his neck is a ” blue Tribal”; back of neck is “SC”, right hand ” Ayden 2005″, ears ” Scorpio sign and Star “, behind his ears are” M “, left wrist ” blue and red wristband”, left hand ” Chinese symbols” ” Coloured circle “, and right forearm ” Koi fish”.to name a few. The offender is known to frequent the City of Barrie and the Greater Toronto Area. HAMELIN also may attempt to flee to Alberta. Wow a real desparado apprehendedd there. Serving 29 days. OMG get serious and catch some crooks you bunch a losers.